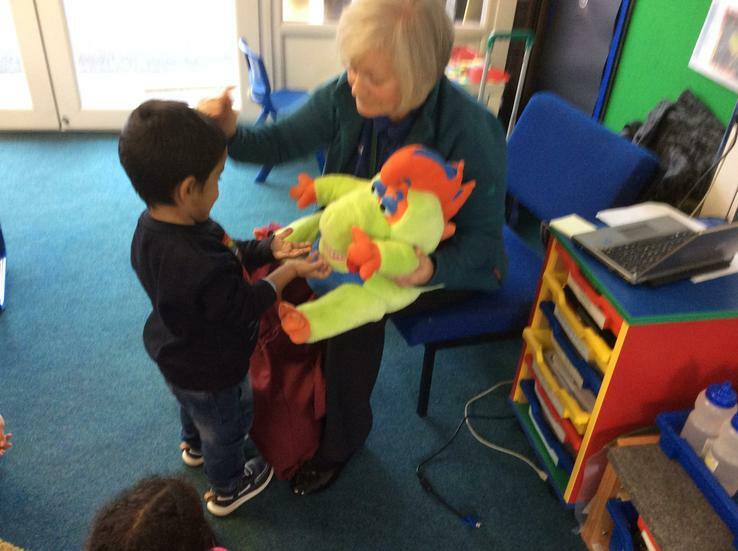 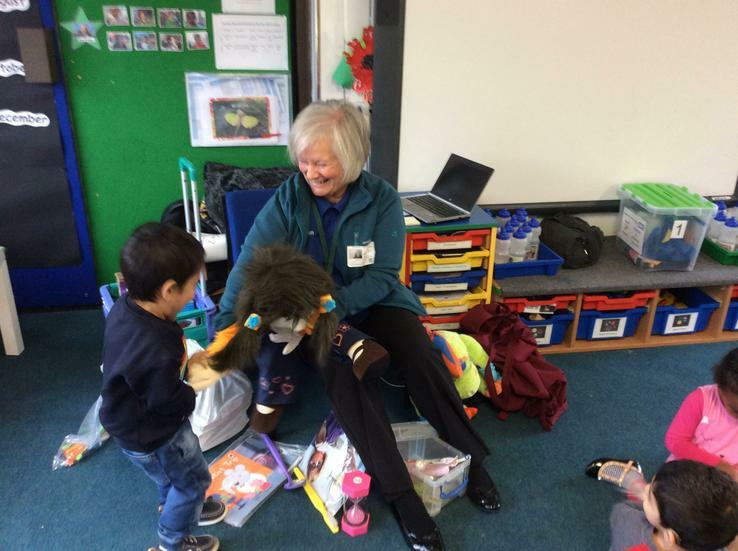 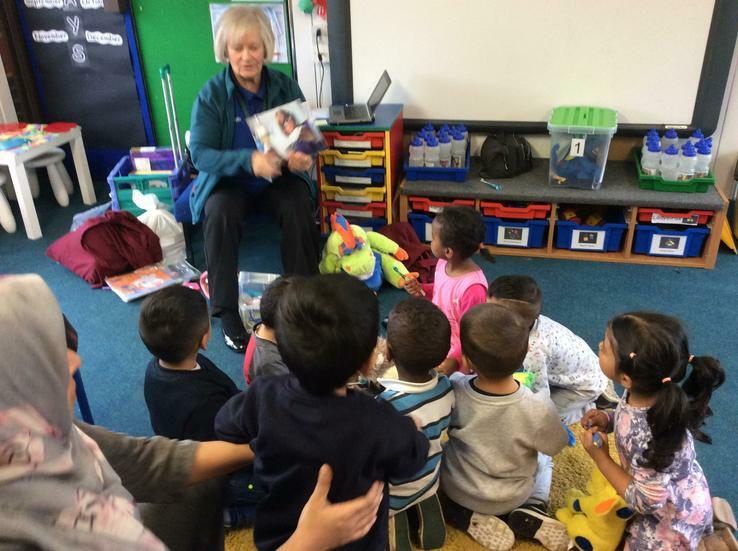 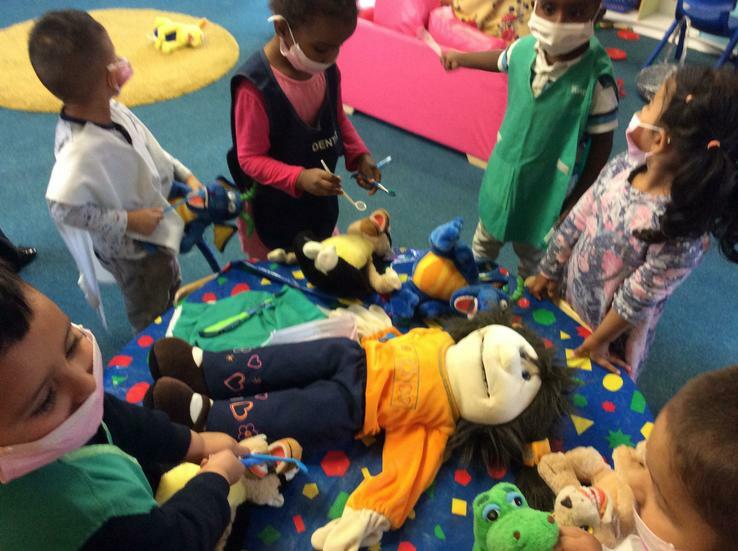 The children enjoyed a visit from the Dentist. 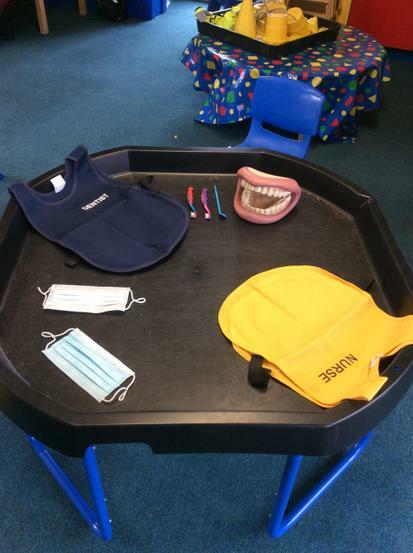 They were shown how to brush their teeth correctly and were able to explore the equipment a Dentist uses. 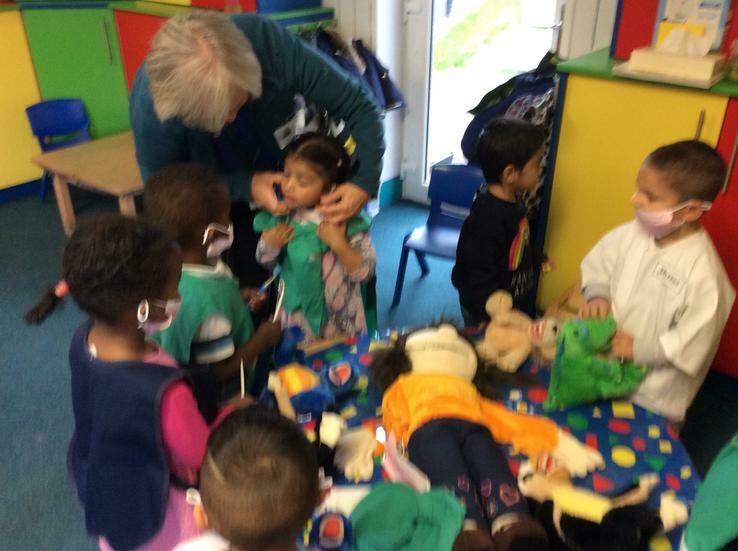 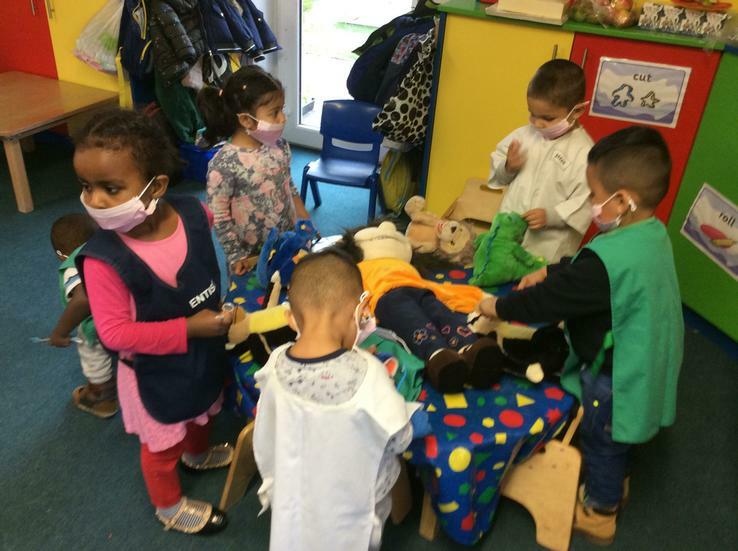 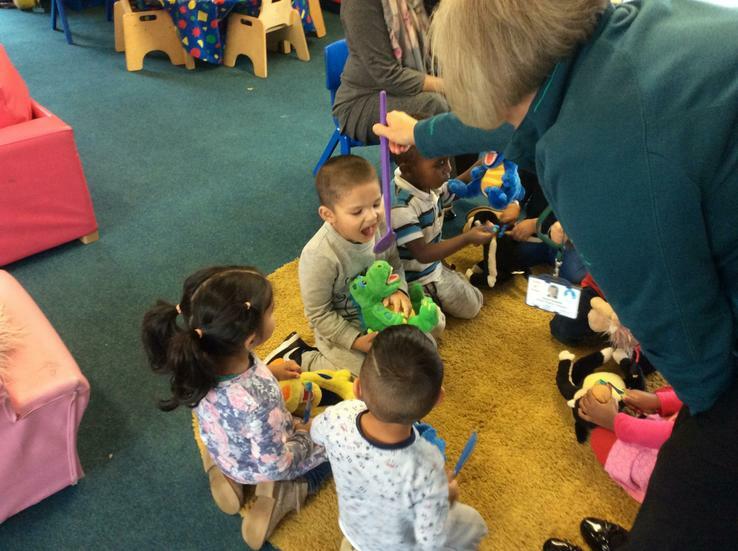 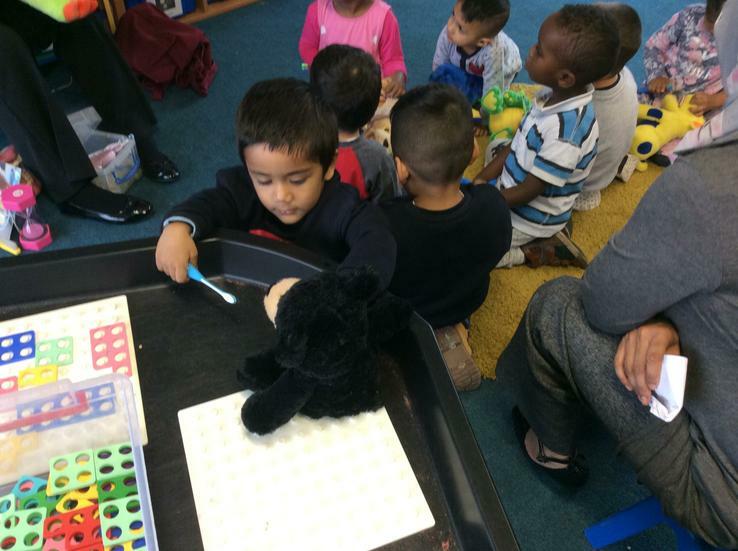 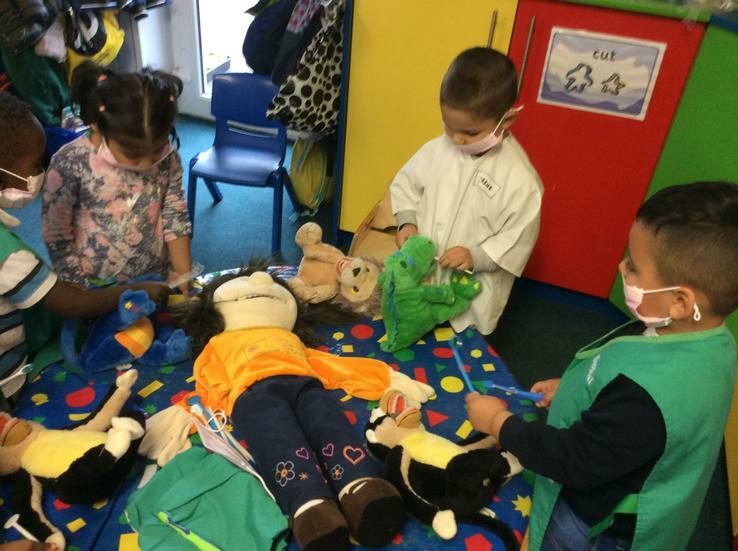 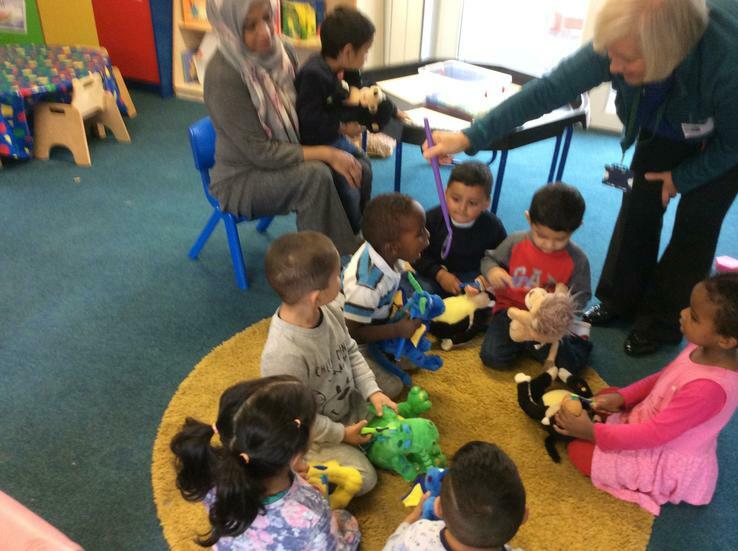 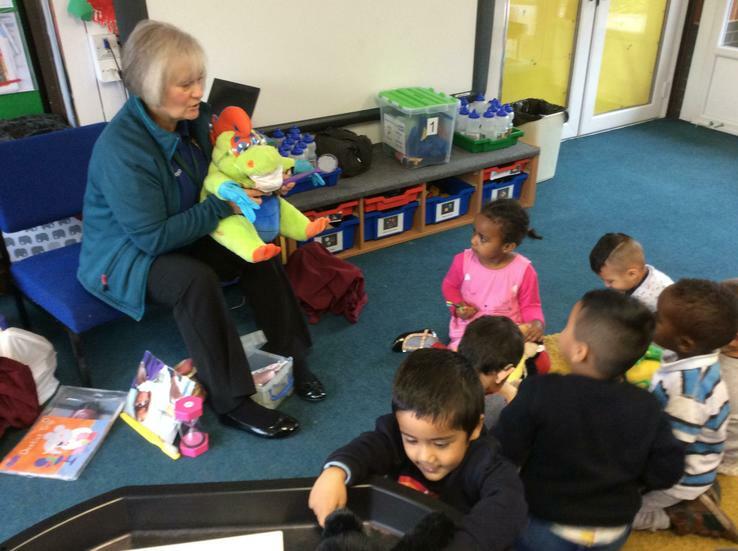 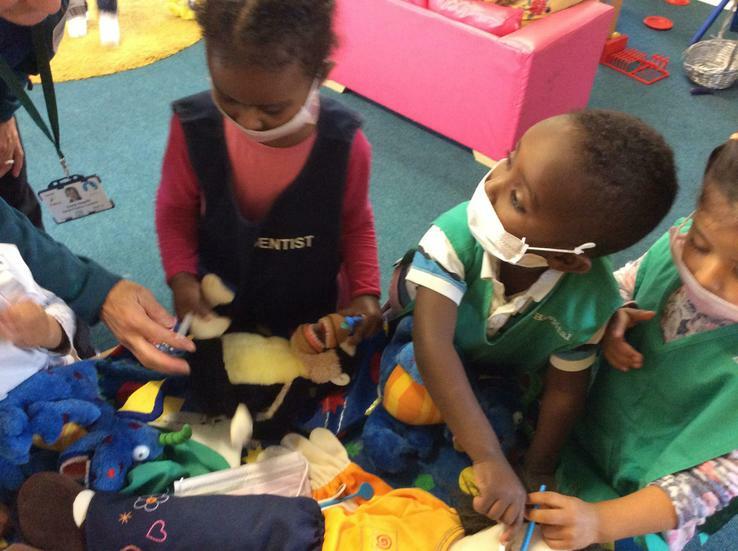 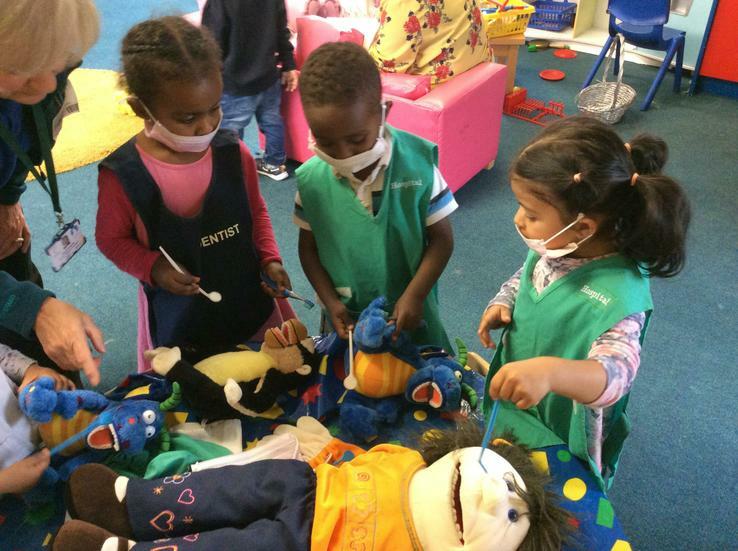 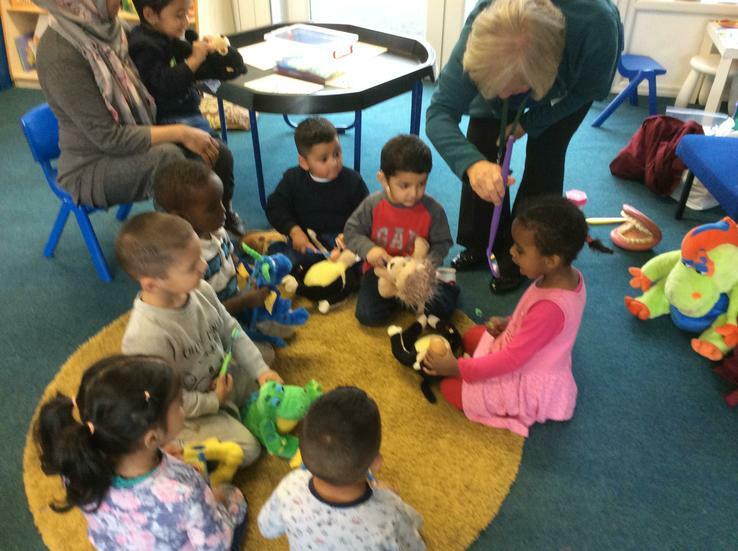 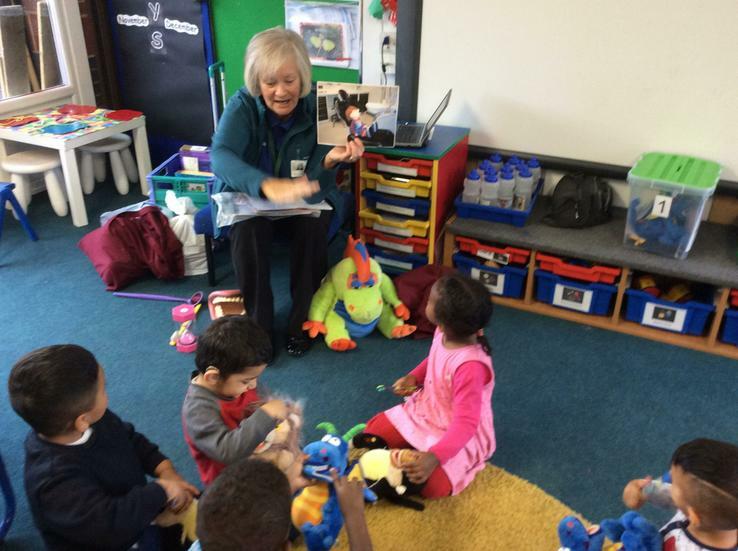 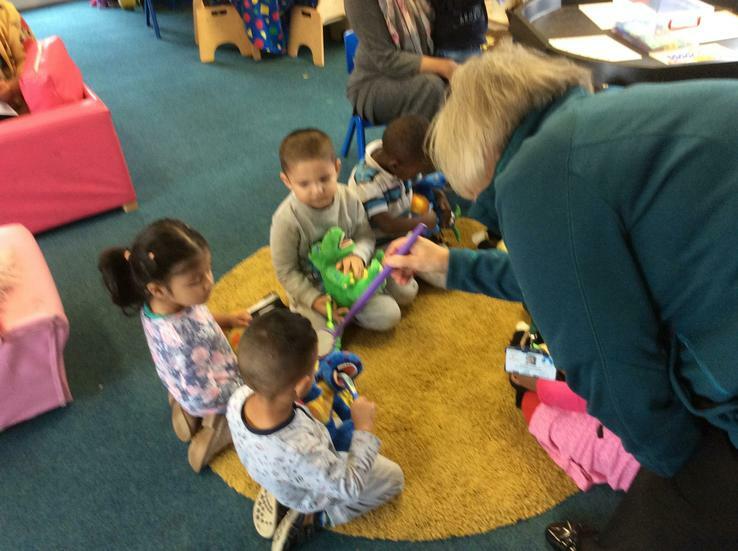 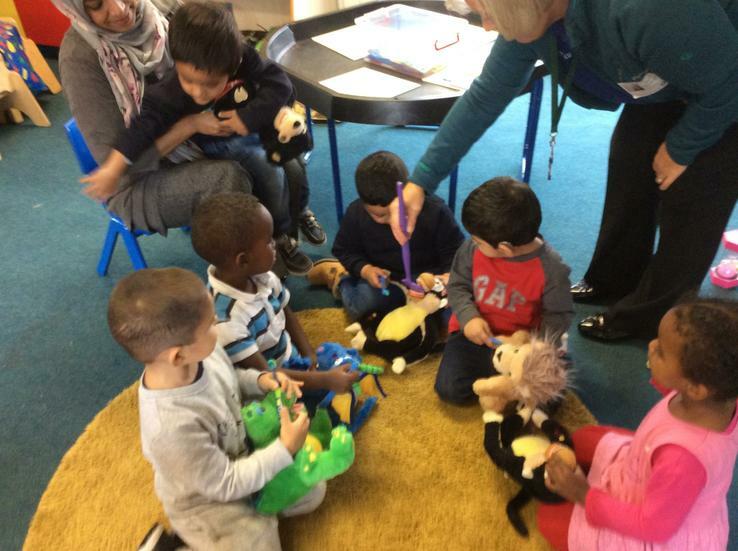 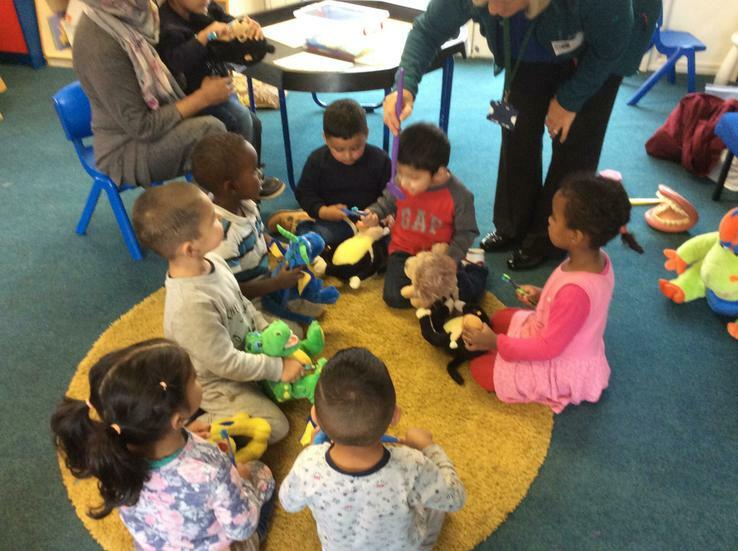 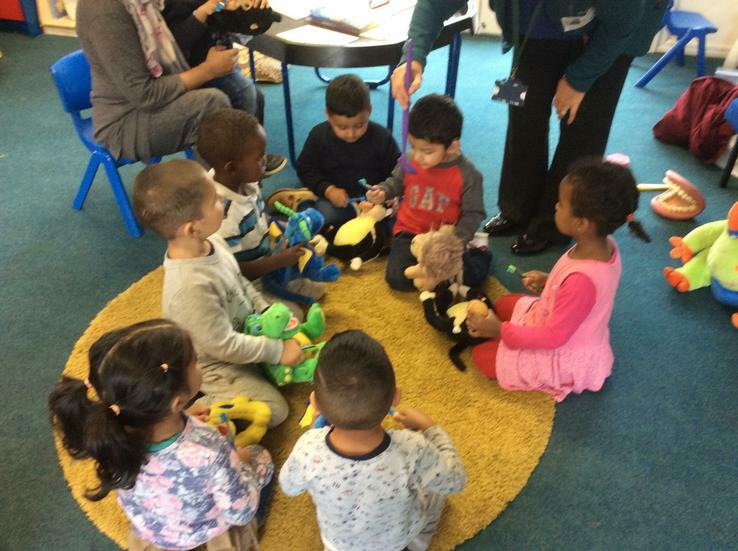 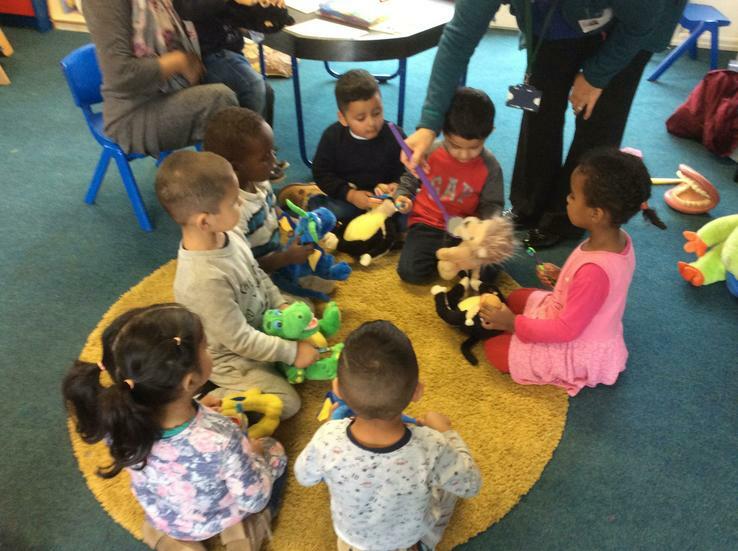 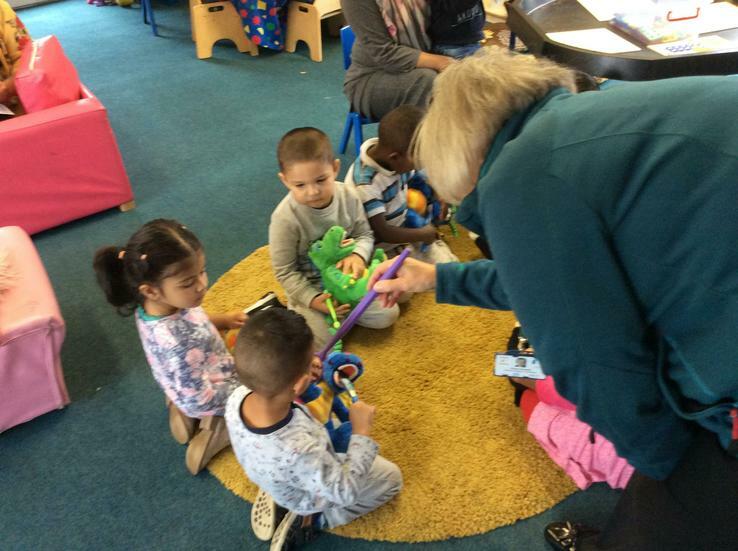 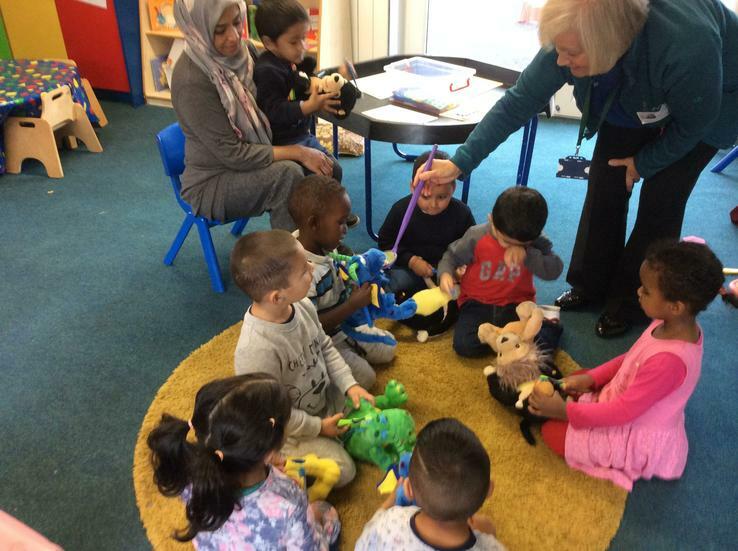 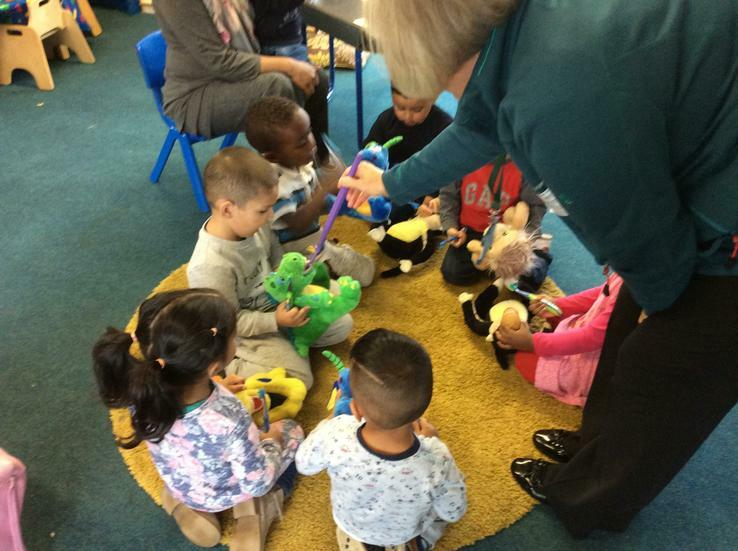 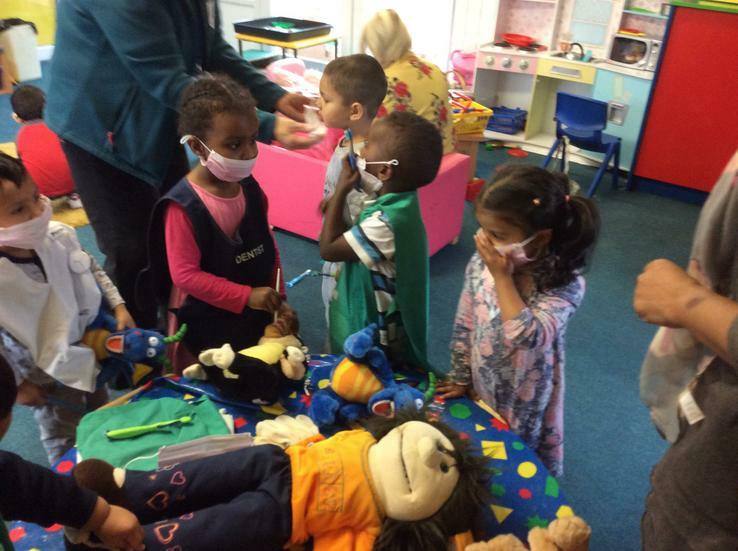 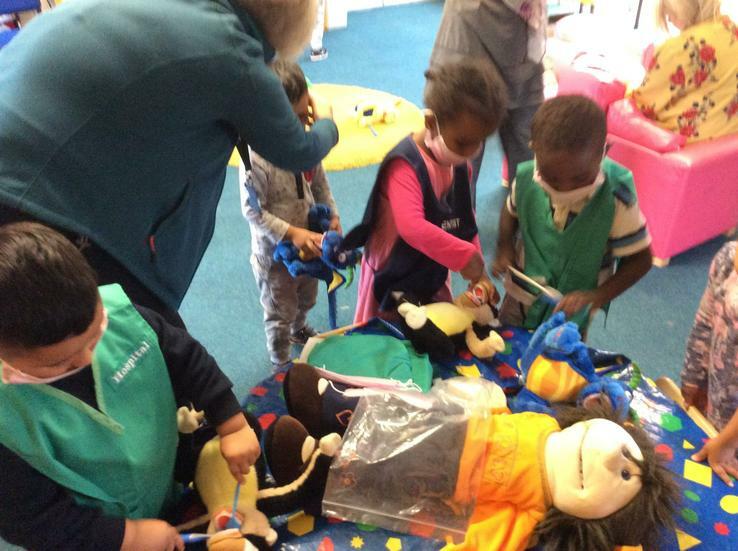 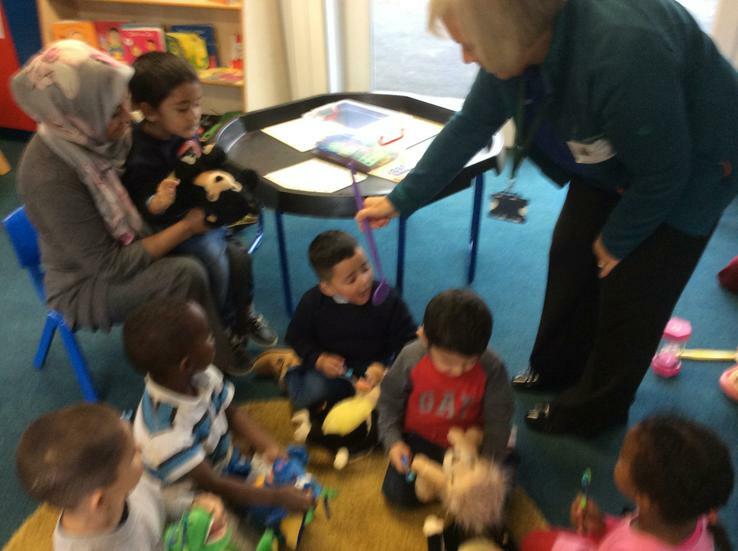 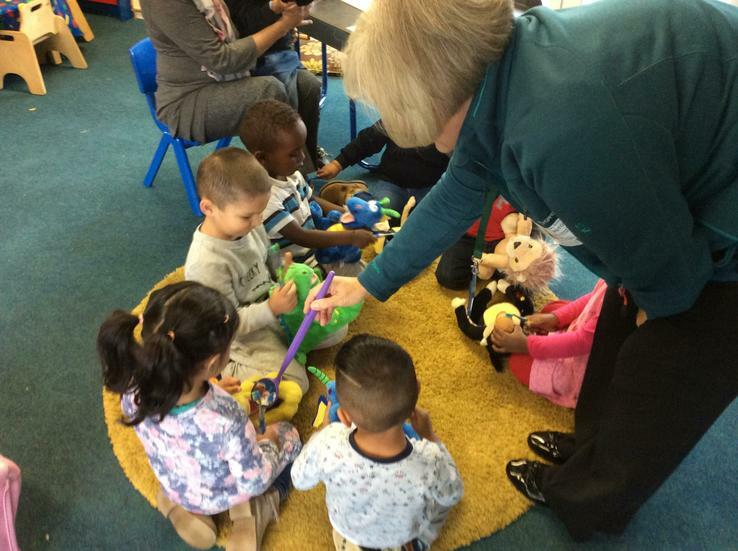 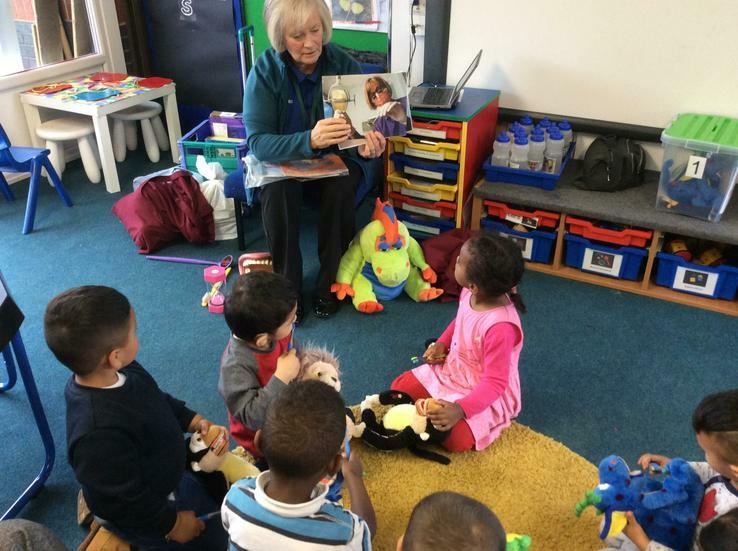 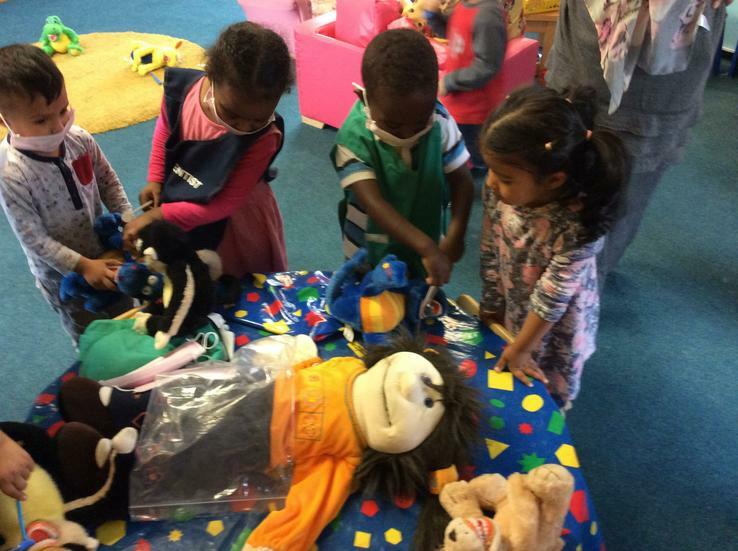 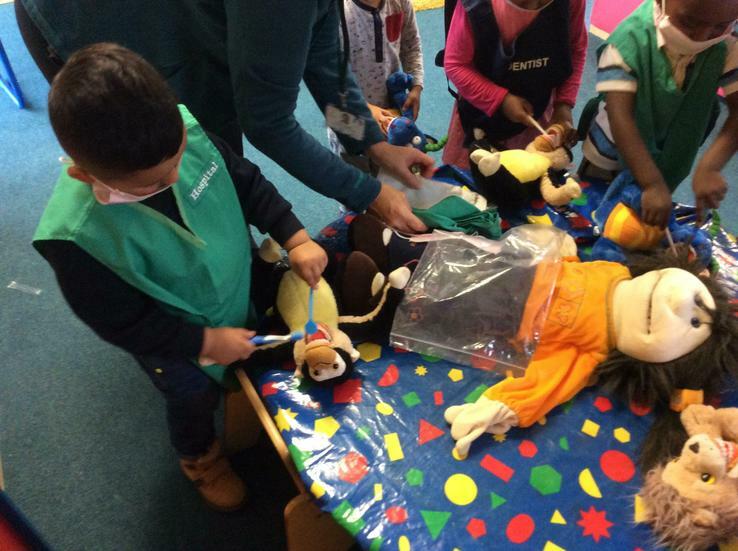 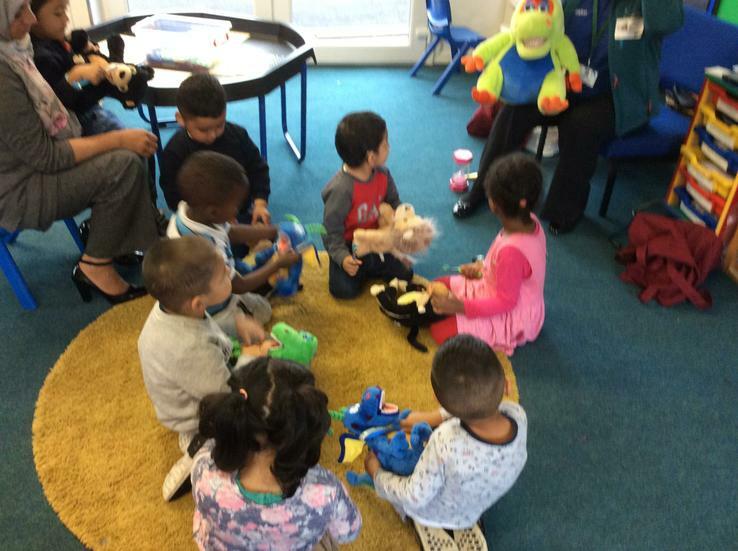 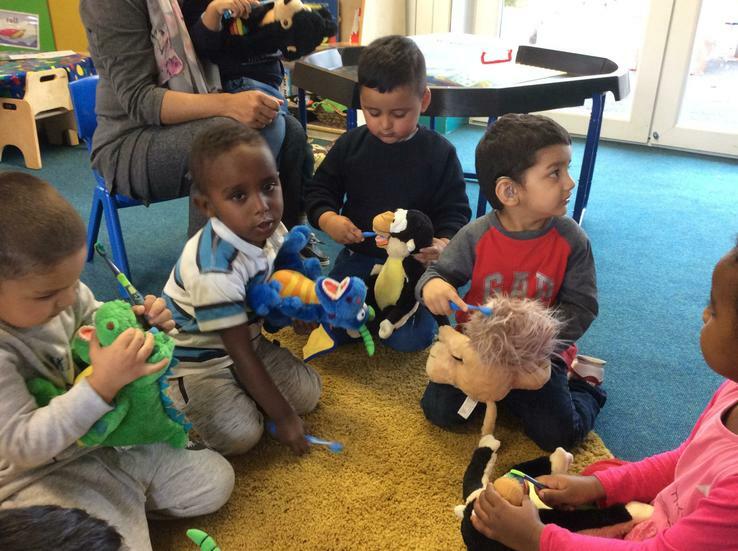 The children were able to dress up in role play clothes pretending to be Dentist and patients.